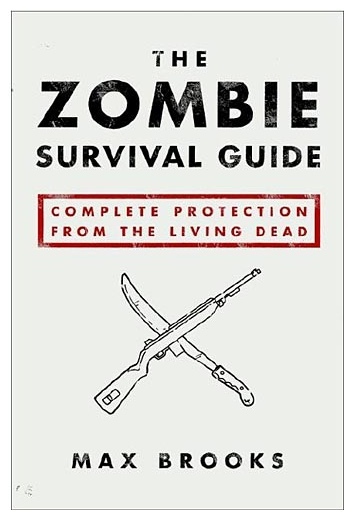 So you’ve decided you’d prefer to survive the zombie apocalypse, huh? That means you’re gonna need to think “long-term”. All the things you’ve prepared are nice and new now, but they won’t stay that way forever. Once you’ve dragged your stuff through mountain passes, or been in harrowing close calls in some pile of rubble that used to be a city, that shiny new gear might start to get a little wear and tear. There’s nothing wrong with that! You just need to be ready to show a little TLC when the time comes. That goes for all of your equipment. They make repair kits for water filters, camp stoves, boots and jackets. Should you have all of these? It might not be a bad idea to do just that. You can combine all of them into one compact “general repair kit” and keep that thing handy. Today though we’ll just talk about a nice general repair kit for you minimalists in the crowd. 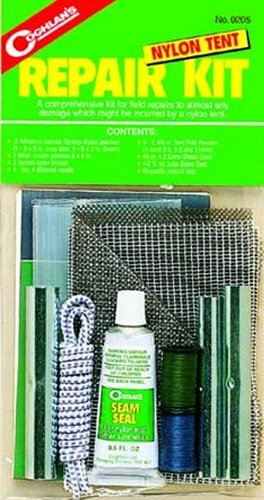 This kit is an inexpensive, but extremely versatile piece to be added to any survival kit. It comes with several pole repair tubes, thread for sewing tears in tents (or clothes), 2 Ripstop Nylon Patches (also great on clothes), some shock cord (which you can always use), 2 screen patches and a little tube of seam sealer. This little kit can get you through a whole lot more than just a torn tent flap!! You can patch clothes, sew up a cut or even set a broken finger or toe with just this little kit! You might even think about carrying 2 or 3 of these little guys, just in case. Remember that this about long-term survival and if you fail to plan you plan to fail. So get out there and get prepared!